We did it in fine style on the evening of Nov. 28, by inviting some friends and brethren in for pizza. They came from Taubaté and SJCampos for a moment of fellowship and of thanksgiving for God’s goodness all these years. 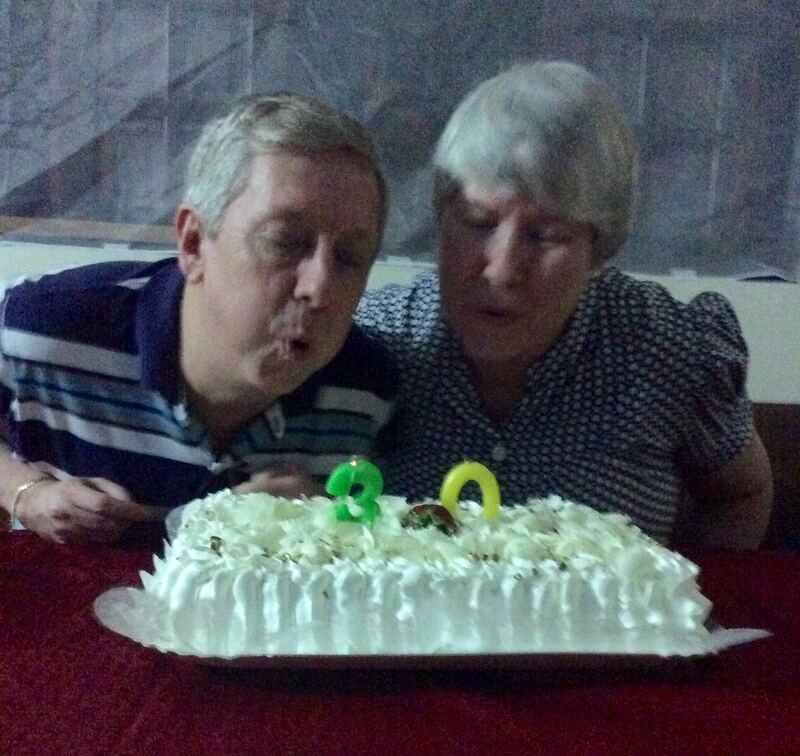 On Nov. 28, 1984, Vicki, Micah, and I arrived, with three other families in our then mission team, in Belo Horizonte. Ten years later, our family of five moved to SJCampos. We have lived and worked in Brazil continuously over the 30-year period. Many wrote comments in our guest book. Others expressed kind comments about our ministry, and one who couldn’t be with us called to say thanks. Later, we hope to write more about our perspectives of missions as we look back. For more photos of the moment, see at this link. I read this with tears of joy! Congratulations to you both! Your lifelong dedication to the Lord is causing rejoicing in heaven and on earth! May God give you 30 more wonderful years in his service! Thank you, brother. I appreciate your kind words. God has been good to us, all these years. Randal, the Lord’s people are truly blessed by the work your family has done and continue to do. From Julia, Jeremiah, Micah, and I: congratulations and may God continue to bless you!